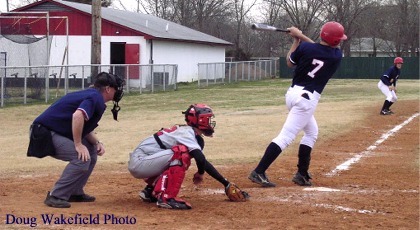 Josh Compton (#7) drove in the base runner from third on this play for an RBI. Ricky Rimpley goes into his windup against Caney Valley. Note: I received an email update that Jimmy West also hit a three run homer against Caney Valley.